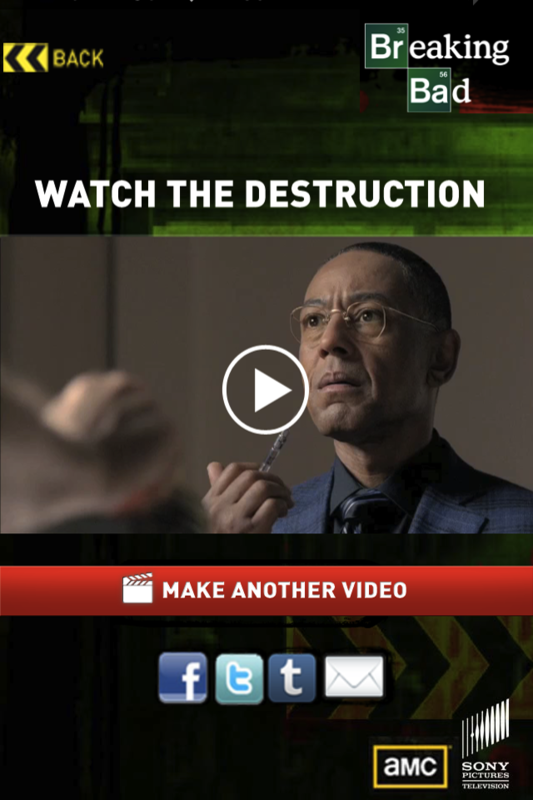 Who could ever forget the final episode of Season 4, the twist that no one was expecting! 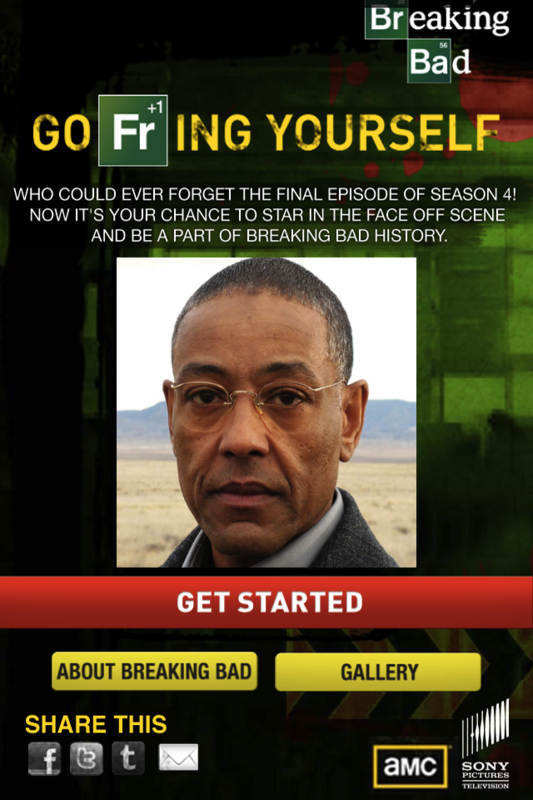 Now it's your chance to star in the Face Off scene and be a part of Breaking bad history! 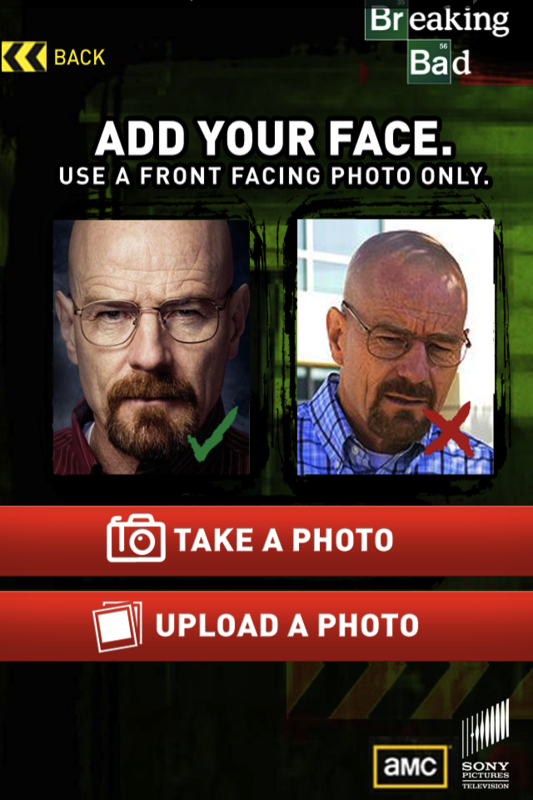 Using Face mapping technology the app will map your face onto Gus Fring's in the amazing Face Off scene at the end of Season 4. You can then download your video or a photo and share with friends.